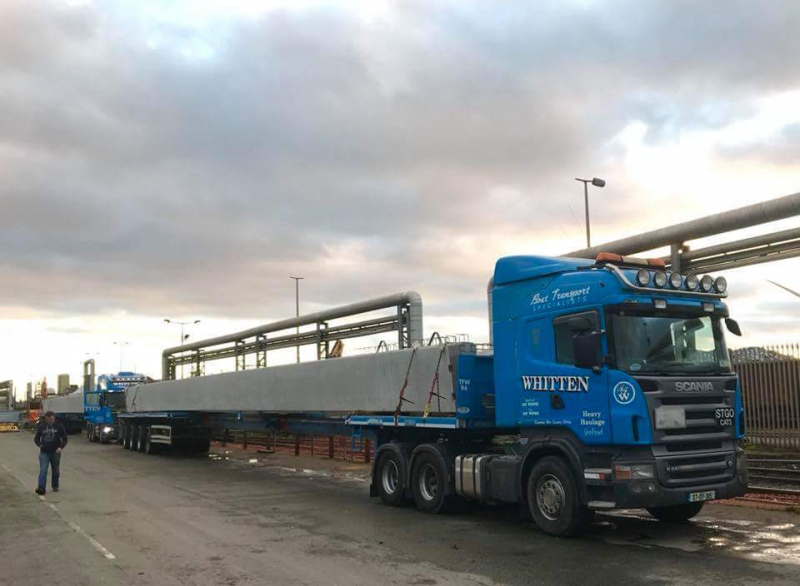 Five Precast Concrete beams are currently en route to Dalry in Scotland. 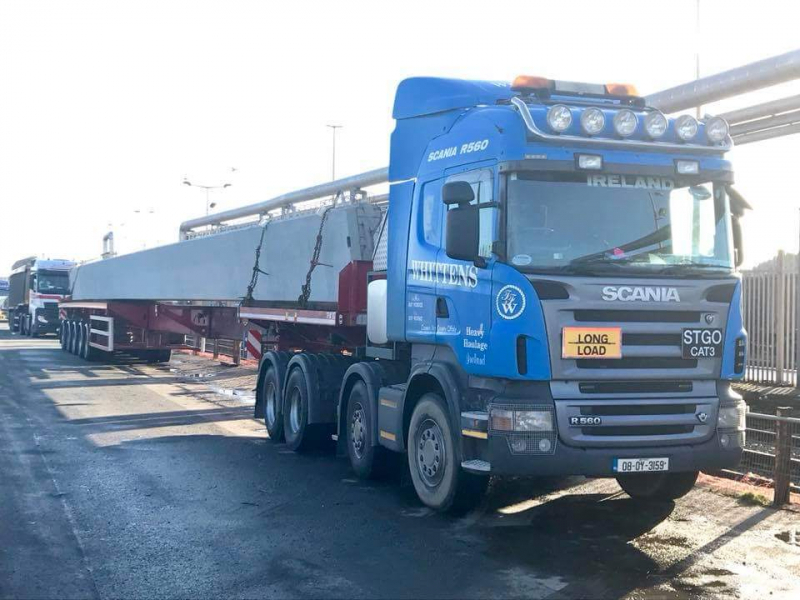 These beams will form part of the new Blair Road, spanning the Dalry bypass. 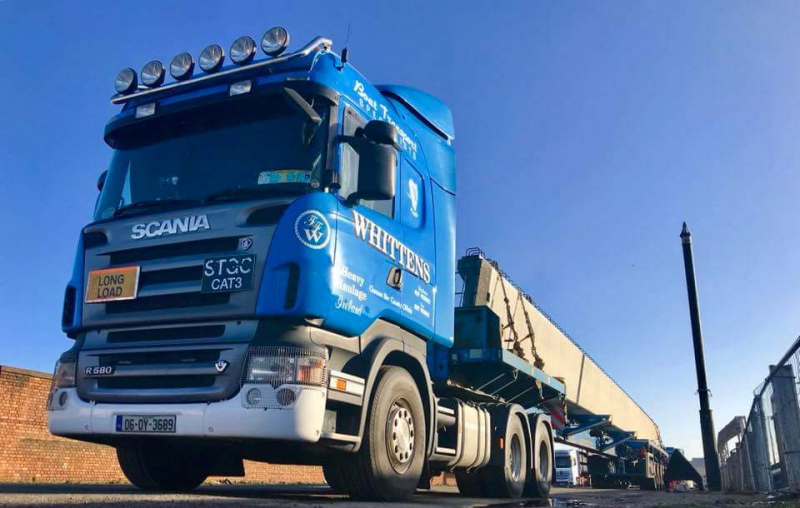 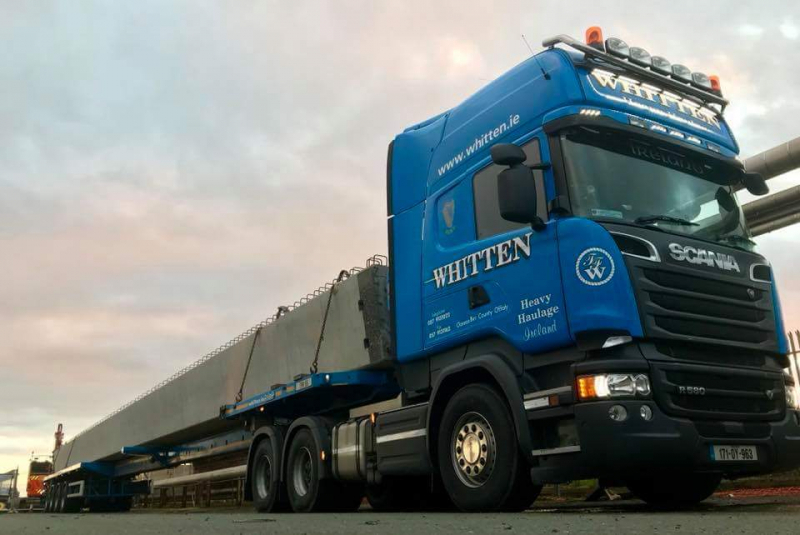 These beams, weighing 60 Tonnes and spanning 31.4 metres, left Banagher Precast Concrete on Friday night and are travelling under Special Order in the UK under the watchful eye of drivers Damien, Rhys, Alan, Ken & Jason.